A Chinese drugmaker that has close military ties is seeking fast-track approval for its JK-05 drug that it says can cure Ebola. Sihuan Pharmaceutical Holdings partnered with the Chinese research Academy of Military Medical Sciences (AMMS) in October, to help push the drug through the Chinese Food and Drug Administration’s approval processes quickly. Developed by the academy, JK-05 is currently approved for emergency military use only and has been under development for five years by the AMMS and it passed evaluation by health experts of the General Logistics Department of People's Liberation Army. Sihuan's chairman Che Fengsheng says: “We believe that we can file to the Chinese Food and Drug Administration before the end of the year," before adding: "They are looking at this very seriously... and we could get on the 'green light' track." Sihuan's drug is one of many contenders experimenting with cures worldwide to treat Ebola, although if successful it would of course be a huge benefit for China's developing pharma sector. China's Ebola bid still lags some way behind US-developed ZMapp and Tekmira Pharmaceuticals’ TKM-Ebola, but Sihuan says the drug has proven effective during testing on mice. But ZMapp and TKM-Ebola have been tested on monkeys, thus giving a closer immune response to that of humans. 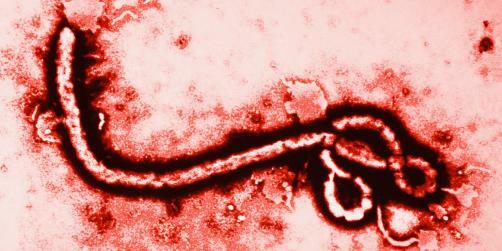 The World Health Organization has defined the Ebola virus as the most severe biological threat in the world. The fatality rate for hemorrhagic fever caused by it has been extremely high. Since the first case of Ebola was identified in 1976, four major outbreaks have been recorded, but as yet no specific and effective treatment for the disease is ready for use. There are no reported cases of Ebola in China but the current outbreak which is the worst on record of the disease, has killed more than 4,000 people, mostly in West Africa. But it has certainly spread with recent reports of infection reaching Europe in Spain, and last week a Liberian national named Thomas Eric Duncan died in an isolation ward of a Dallas, Texas hospital in the US after being admitted 11 days before. Duncan died yesterday after being given experimental drug brincidofovir, made by Chimerix, which has not been tested on humans or animals. Doctors say that this was used ahead of TKM-Ebola, which was in fact given to another US patient, Dr Rick Sancra, who contracted Ebola while working in Liberia, but has since been cured. In the UK the health secretary Jeremy Hunt has released a statement on the Ebola epidemic and outlined the government's response.